Matej Šimalčík is the executive director of Institute of Asian Studies, a think tank based in Bratislava, Slovakia. Last year, High Representative Federica Mogherini observed that the Balkans is becoming a chessboard where the big power game is played. It appears that China is becoming one of the big players in the region. Chinese influence in the Balkans has been growing since 2012 when the 16+1 platform was born. Since then, China has invested heavily in the Balkans into infrastructure, steel, and other sectors. The acquisition of Smederevo steel mill, construction of Budapest-Belgrade railway, Belgrade-Bar highway, and Pelješac Bridge are a few examples of Chinese investments in the Balkans. Financial aid or debt trap? Recently, numerous Chinese investments were accused of being debt traps for their recipients. The case of Hambantota port in Sri Lanka is well known. Similar effects have reached Europe as well. Despite two feasibility studies saying the project is not bankable, governments of Serbia and Montenegro decided to go ahead with constructing a highway connecting Montenegrin coast with Belgrade, and to finance it with Chinese credit. The loan sent the public debt of Montenegro soaring. To manage the country’s finances, the government was forced to raise taxes, freeze public sector wages, and terminate the payment of maternity benefits. If the CRBC successfully concludes the project, it will gain a valuable reference for future infrastructure procurements across Europe. The same goes for the construction of Pelješac Bridge, which is of strategic importance to the Croatian government as it will connect the Dubrovnik exclave with the remainder of the country’s mainland. Since so far it was not successful in constructing any road within the EU, China has much to gain from the highway’s construction. Many still remember the failed highway construction project in Poland, where COVEC won the procurement with a bid that was undervalued by 50% and subsequently failed to pay its subcontractors. When dealing with Chinese influence in Europe, many think that Chinese influence is basically the same as Russian influence. This is an incorrect assumption as China, unlike Russia, has much to gain from continuing EU integration and stability as the EU is its largest trading partner. In 2010, Chinese State Councilor Dai Bingguo came up with a notion of ‘core interests’ which motivate Chinese foreign policy. The three core interests are regime security, sovereignty, and economic development. The three core interests are mutually intertwined with a sole goal – ensuring the survival of the political system of China, with the Communist Party at its helm. The Balkan market is not of particularly high interests for Chinese firms when it comes to trade and investment. When it comes to doing business, the Western EU is far more interesting to Chinese companies. But here lies the paradoxical importance of Balkans for developing economic ties with the (Western) EU and thus ensuring the economic development of China. Balkans is an important trade route connecting the Greek port of Piraeus with the rest of the EU. It is also an area where Chinese companies can test their capabilities on the European market and gain the necessary goodwill to enable them to expand in the EU. Secondly, the increasing dependency of Balkans on Chinese money allows China to extract political concessions on sovereignty-related core interests. Taiwan, Hong Kong, Tibet, Xinjiang, and South China Sea are often named as Chinese core interests where China will not tolerate any action by foreign countries that so much as even hints at contradicting the official One China Policy. In the Balkans, the One China Policy has been receiving the most support from Serbia, which supports China on both Tibet and Xinjiang issues. 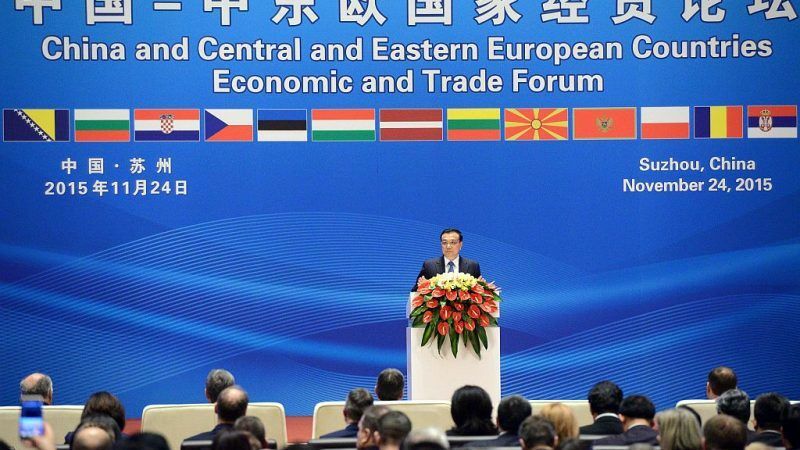 While Serbia’s behaviour is partially motivated by China not recognising Kosovo, Serbia’s staunch support should not be delinked from the economic support it receives from Beijing. Should they become EU members in the future, Balkan countries can serve as Chinese proxies in dealing with the mentioned issues. All of this can be used by China for domestic propaganda purposes with the aim to create a domestic image of Chinese greatness and respect abroad, thus serving to legitimize the Communist Party. To counter the growing Chinese influence in the Balkans, the EU can take several steps. First, the non-EU Balkan states need to have a clear path to the EU membership in sight. Much of the allure for Chinese money comes from the fact that these countries do not have many opportunities to access cheap (even free) EU funding on infrastructure projects. Secondly, some of the pre-accession funding should be released for infrastructure investments. Thirdly, investments by European companies in Balkans should be promoted. By contributing to employment in the Balkans EU’s public image can be improved. Lastly, the EU’s own public procurement rules seem to be an effective tool in blocking the investment proposals that are not so advantageous for the recipient countries. The Budapest-Belgrade railway is a case in point. The Hungarian portion of the railways was delayed thanks to the Commission probe into whether the project followed EU procurement rules. In neighbouring Serbia, which is not bound by the EU procurement rules, the construction using Chinese firms and workers already started. NGOs and journalists can and should play a role in monitoring the growing Chinese influence. The topic of Chinese influence in Europe is complex and multifaceted. Hence there needs to be a greater cooperation between China experts, think-tankers, and journalists. This cooperation should cover the entire EU and European Neighborhood. Such partnerships will on our part result in a better understanding of China, its interests, and tools used to achieve them. While think tanks can comment on the context of relations with China and the accompanying risks and opportunities, it is journalists who possess the necessary skills and toolkits to investigate specific transactions. This will eventually result in better media coverage of China-related topics but also better informed policy analyses.